Many teachers and staff at Phoenix Military Academy are overachievers, but only a few will go the extra mile. Mr. Edwards and Mrs. Raygoza are finalists for the Golden Apple award for excellence in teaching. The Golden Apple contest has been recognizing outstanding teachers since 1986. 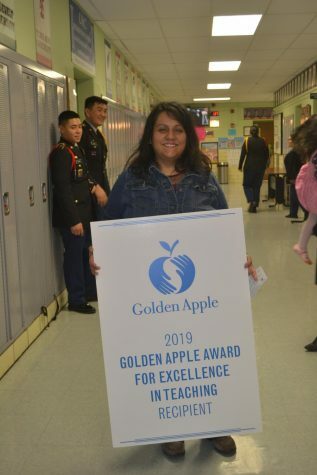 The teachers who receive this award recieve a tuition-free, spring quarter sabbatical to study, a $5,000 cash award and a lifetime membership at the Golden Apple Academy of Educators. In order to compete at this level, our teachers had to go through a rigorous amount of tasks and background checks. “I think I wrote a total of about 3,500 words. Some of the essays asked me about my teaching style, what topics that I think are most important to address, and how I connect to my students,” said Edwards. Aside from completing these tasks teachers still had to prepare their lessons, grade papers, and prepare the students for midterms. This required a lot of discipline and responsibility on behalf of the teachers. Many of the students at PMA who have these teachers this year are able to see the excitement in Mr. Edwards’s and Mrs. Raygoza’s face as the days count down to the announcement of the winners. 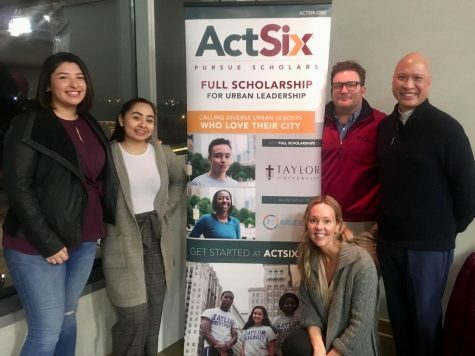 “In the end; the largest approval and award that I get is that my students succeed with the AP exam results and that they be happy while in our learning environment,” said Raygoza. The teachers have a lot of hope and have ideas of what they would do with their prize. Although many teachers have the support of the staff and students many also need the support of their family to keep on striving to do better. The teachers also grade themselves and reflect on how well they are doing. Afterall self confidence is the key to accomplishing dreams. “ I’d be honored to win, but I know that there are so many qualified teachers that are equally deserving, so I don’t really think about it, let’s see what happens…” said Edwards.